Whether you’re just starting out in the cattle business or somewhat established, developing and expanding your operation can be a daunting task. However, if cattle production (seedstock, commercial, feedlot, etc.) is your chosen profession, herd, ranch and operation development and expansion may be exactly what you need. 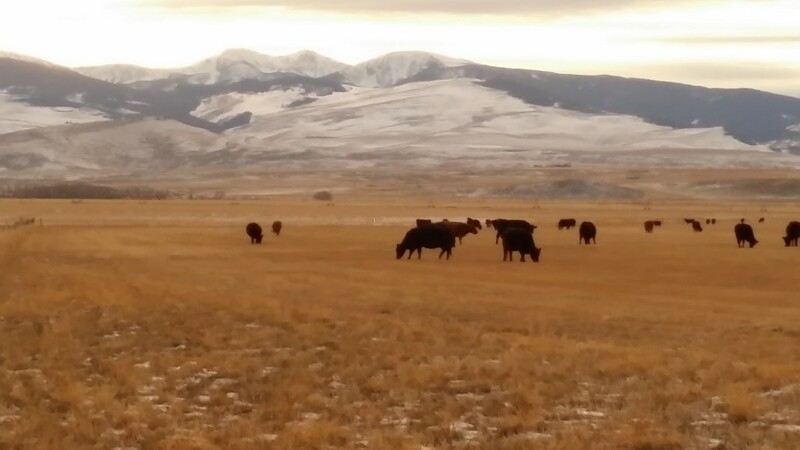 I’ve interviewed a number of professionals in the cattle business that have had exceptional success at starting and/or expanding a cattle operation and compiled some key points that they suggest to help producers in this endeavor. Before you even get started, it is important to question the sustainability of your potential business so that your time, effort and money are not wasted. James Brown with Cargill has studied business development and expansion and knows what it takes to be successful and, more importantly, what can lead to a lack of success. James points out that “Most people go back to the family farm/ranch for the lifestyle, but if it’s not a sustainable business, it’s not a sustainable lifestyle.” This is sometimes a difficult question to face but a serious one. The “self-made man” is an American icon. Everybody either is or will become a self-made man in their own mind. The rags to riches stories offer what we view as the true American stories. However, even if you didn’t come from rags you will likely still view yourself as a self-made man. In Malcolm Gladwell’s book, “Outliers”, he points out there is really no such thing as a self-made man. All success stories are a result of the effects of one’s environment and the opportunities that environment offers. Numerous stories of success and fame of great individuals were cited by Gladwell including Bill Gates, Beethoven, the Beatles, star athletes, and many others. Each of these cases showed a large environmental effect and opportunities that were offered to nobody else. It becomes quite humbling when we realize that so much of who and what we are today has to do with something other than us being “self-made” individuals. I truly believe that it is only by God’s grace that we face any of the opportunities presented to us. Is this to say that these individuals did not contribute to their very own success? Not at all. What separated these people from the rest and made them great were not just the opportunities they were given, but the fact that they recognized and utilized those opportunities. Andrew Sunderman of Sunderman Cattle Company is a young producer that has built and grown both a feedlot and cow/calf operation in Nebraska. When I asked Andrew what tips he would give to young producers trying to get into the cattle business, he said, “Get in three years ago.” Although Andrew was joking, there is something to be learned from that statement. Timing is everything. Opportunities often only present themselves within a small window. That is why it is so important to recognize and utilize them in a timely fashion. Typically the reason the majority moves at the same pace is because they view things similarly. For example, when we are talking about land investments these days we all see that most land investment don’t pencil out for the production that the land has to offer. That is why most of us don’t purchase the land. However, there is a minority that is expanding and some quite rapidly. How? Is their pencil sharper? They likely saw something that you missed. Maybe it was an additional revenue stream. Maybe they see it as a future investment and are leasing other ground in order to run enough cows (more than the purchased land can support) to pay for the land. Maybe they saw a way to get irrigation to the land making it more productive. Remember, if a piece of land ever came up for sale that easily penciled out, it would be sold before you could even called the banker. Andrew Sunderman has been able to expand his cowherd rapidly and profitably when grass prices in Nebraska are some of the highest in the country through dry-lotting cows. This may not work for everyone but simply train your eye to see things differently than others and to think outside of the box. Another individual I interviewed saw the opportunity to purchase a large ranch that was used by a grazing association but did not have the collateral to do so. He got to know some of the producers in the grazing association and realized they were interested in a ranch elsewhere in Montana. Therefore, he purchased shares in the grazing association to use as collateral to purchase the ranch they were interested in and then made a land trade for the ranch he wanted. This is pretty creative and may never work again. However, he saw something nobody else saw, recognized an opportunity and seized it. Expansion for the sake of expansion may leave you disappointed. Countless people will tell you that more land, cattle and money does not necessarily lead to more happiness. Make sure you know what you are shooting for. If it is to support more family, know how big you need to be to support that family. If it is to make cattle production your only job, know how big you need to be to provide enough income. If you are serving God, be sure you are always seeking his will. If you are trying to serve a larger customer base, have an accurate idea of how large of a customer base. James Brown says “People want to help and inspire young people in agriculture, but if you never communicate your visions and goals to others, you may miss out on many opportunities.” This goes right along with recognizing opportunities. Other people will take you further than you ever could have gone on your own. With the average of age agriculture producers being around 60 years old and an increased interest of getting young men and women in agriculture production, people are looking for ways to help you. Make sure they know you are looking for ways to be helped.